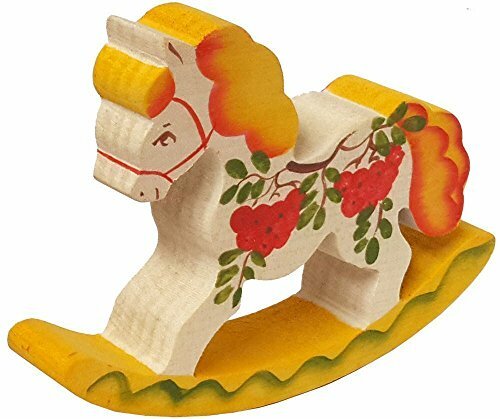 Handmade wooden toy rocking horse. Hooves click while rocking making a galloping sound. Measures 9 1/2' long x 8 1/4 ' high x 4 1/4' wide. 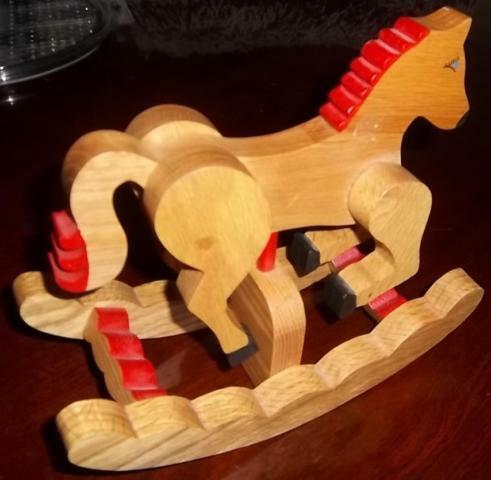 Heavy solid wood. Animated. .